This album is what this music project is about. This is a fine example of unusual music that seems to have passed the mainstream by without even a rumour. Giving the album a little kick into the throng in the hope that someone reading this will give them a try and maybe change their life. 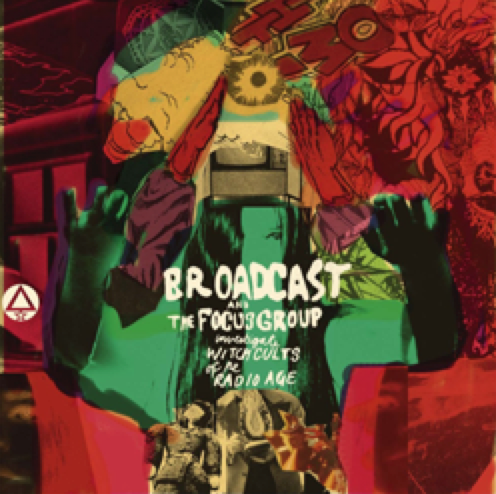 Broadcast are a British psychedelic band from Birmingham consisting of the late Trish Keenan and James Cargill . The Focus Group consists of electronic musician and graphic designer Julian House. Together the bands explore an aural haunted house of Hammer Studio ilk in your minds eye. Opening doors to rooms long forgotten, filled with twisted representations of your psyche and symbolism of nightmarish quality through the media of collaboration and music. If I ever do psychotropic drugs, this is the album that will tip me over the edge into madness. A curious mix of BBC Radiophonic Workshop electronica, hauntingly disjointed lyrics and weirdness.